The long anticipated reforms to the Australian whistleblower regime were passed by Parliament on 19 February 2019 with a view of introducing a single, strengthened whistleblower protection regime that covers the corporate, financial and credit sectors. As foreshadowed in our previous blog post, the Treasury Laws Amendment (Enhancing Whistleblower Protections) Bill 2018 (Cth) (Whistleblower Bill) introduces a number of amendments to the Corporations Act 2001 (Cth) (Corporations Act) and other legislation, including the Tax Administration Act 1953 (Cth) (Tax Administration Act) and the Banking Act 1959 (Cth). It is likely that these changes will come into effect on 1 July 2019 (Commencement Date). introducing a broader range of immunities, protections and compensation available to a Discloser. Notably, the amendments introduced by the Whistleblower Bill to the Tax Administration Act will apply to disclosures made at or after the Commencement Date to matters that occur, or occurred, before, at or after the Commencement Date. Further, some parts of the Whistleblower Bill (including in respect of compensation and remedies) will apply retrospectively to disclosures that were made prior to the Commencement Date provided that the disclosures would have been protected had the Whistleblower Bill been in force at the time. design and introduce appropriate claims handling processes: Companies need to design and implement relevant processes to ensure the whistleblower claims are dealt with appropriately and in compliance with the limited grounds for disclosure. This will include training for prospective ‘eligible recipients’ of whistleblower claims within the company to ensure they are trained to identify and appropriately deal with any whistleblower claims. If you are unsure of your obligations or would like further information on how to best approach the reforms to the whistleblower regime, including the adoption of a compliant whistleblower policy or establishment of an anonymous reporting facility, please drop us a line at hello@cdandco.com.au or call 03 9614 2444. The content of this article is intended to provide general guidance on the reform of the whistleblower regime and the amendments to the Corporations Act. See Revised Explanatory Memorandum to the Whistleblower Bill, p.3. See section 1317AI of the Corporations Act, as introduced by section 2 of the Whistleblower Bill. Are you ready for the new whistleblowing regime? Proposed amendments to Australia’s current whistleblower regime, as contained in the Treasury Laws Amendment (Enhancing Whistleblower Protections) Bill 2017 (Whistleblower Amendments), have recently passed through the Senate and will go to the House of Representatives in February 2019. If passed as they are expected to, the Corporations Act 2001 (Cth) (Corporations Act) and the Taxation Administration Act 1953 (Cth) will be amended to consolidate and enhance existing whistleblower protections for the corporate and financial sector. At this stage, it’s expected that these changes will take effect from 1 July 2019. What is the existing whistleblower regime? 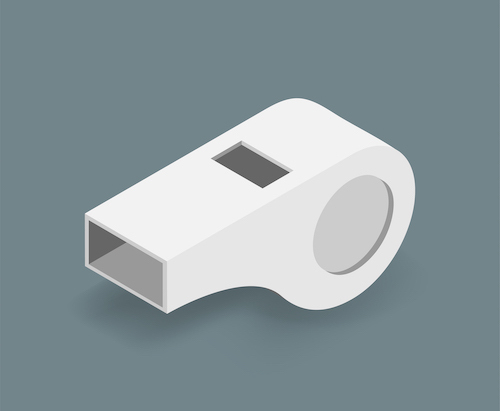 Generally speaking, a whistleblower is an insider within a company, who reports misconduct, or illegal or dishonest activity that has occurred within that company. the disclosure must be made in good faith. Where these conditions are met, the Discloser is granted certain protections, including statutory immunity from civil or criminal liability for making the disclosure, unenforceability of contractual rights against the Discloser for making the disclosure, protection from victimization (including compensation for damage or loss) and non-disclosure of the Discloser’s identity or their information (subject to very limited exceptions). The Existing Whistleblower Regime and the Whistleblower Amendments do not require a company to act on, investigate or respond to a whistleblowing claim. However, as the Whistleblower Amendments require certain companies to adopt a whistleblower policy which addresses how protected disclosures will be handled and investigated, it will be important for those companies to consider and implement compliant whistleblower procedures which are appropriate for its business. f. how the policy is made available to officers and employees. 2. the company must establish a procedure which enables anonymous disclosures to be made. Whilst the format for anonymous reporting is not mandated, the company should consider the logistical issues associated with anonymous reporting, including anonymized reporting methods, administrative handling and the facilitation of two-way anonymized communication channels. Please contact us if you would like assistance with the adoption of a compliant whistleblower policy or establishment of an anonymous reporting facility. Direct voting is a form of voting that allows shareholders to cast their vote, either online or by completing a voting form, on resolutions of a general meeting without having to attend the meeting in person or appoint a proxy or corporate representative to vote on their behalf. By enabling direct voting at your company’s general meetings, shareholders are able to have full control over their votes and can promptly and securely vote without the need to physically attend. The convenience of direct voting may also encourage greater shareholder engagement and participation.